Press Releases | INVISIBLE Translation Inc. In Montreal, translation of press releases is an essential communication tool that benefits the city’s businesses and residents alike. This article discusses the origin of press releases and the influence of this means of communication in Montreal. If you need a translation of your releases, here are the steps to follow. If you are interested in media releases instead, go to this page. Press releases are fairly short texts sent to journalists to inform them about a news development or an event. These releases are often prepared by corporations, businesses, non-governmental organizations, non-profit organizations or administrative bodies, whether located in Montreal or not. How did modern society come to disseminate information in this way? Releases are written to disseminate a news item but also to provide press offices with a version approved by the issuer. Releases also report statements by people who play an important role for the news development or event. The media therefore have official quotations they can reprint in their articles. Some people believe that Edwin M. Stanton created the first document of this type, to announce the assassination of President Lincoln. At the time, Stanton was Secretary of War in the United States government. His succinct, concise style would inspire future generations of journalists by shaping the structure of press releases. But who can disseminate such releases? Of course, anyone can draft releases and send them to the press. However, the preparation of this type of text requires finesse because it must be both informative and interesting enough to convince journalists to publish the news. When making this decision, press offices must determine whether releases have public interest and will attract a majority of readers. Did you know that translation influences their decision? 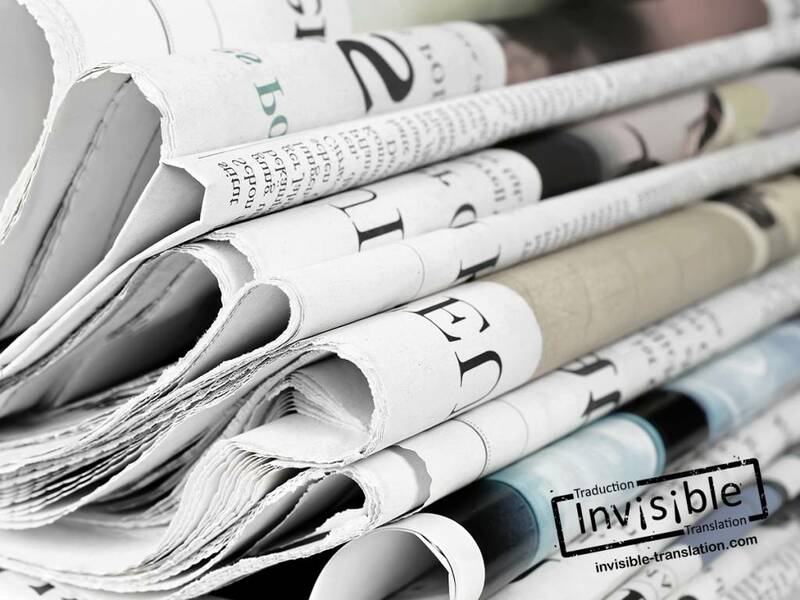 Translated press releases allow the issuer to reach a wider audience, thereby increasing the chances of the news item being published by more journalists. Translation effectively provides an opportunity to convey the same message in several languages. This increases the visibility of its author (agency, business, organization, individual, etc.) and the message’s reach. Translation therefore plays a central role in the communication process, in the same way as editing. And how does Montreal fit into all this? French and English have lived side by side in Montreal for centuries. Although French is the official language of the province of Quebec, Canada recognizes two languages: English and French. Montreal, in particular, is home to the Quebec headquarters of many international businesses and corporations. The law requires these entities to conduct their business operations in French. Translation therefore is essential for English-language and foreign companies located in Montreal, as well as for those seeking to capture a share of the city’s market. This discipline enables these companies to disseminate their written communications to both the French- and English-language press. Where can you find qualified language professionals to produce a quality translation of your press releases? Are you looking for a language services provider to handle the translation of press releases? You’ve come to the right place! INVISIBLE Translation provides you with fast, confidential, professional service. Call us now to discuss your needs! The release date of your news item. We will call you within minutes of receiving this information. Have you ever used a translation service to make the most of your press releases?